How do I use NCHS Anywhere BearCare? Step 1 - Lets get started! Unbox your NCHS Anywhere BearCare device. Unbox and setup your NCHS Anywhere BearCare device prior to your consult. 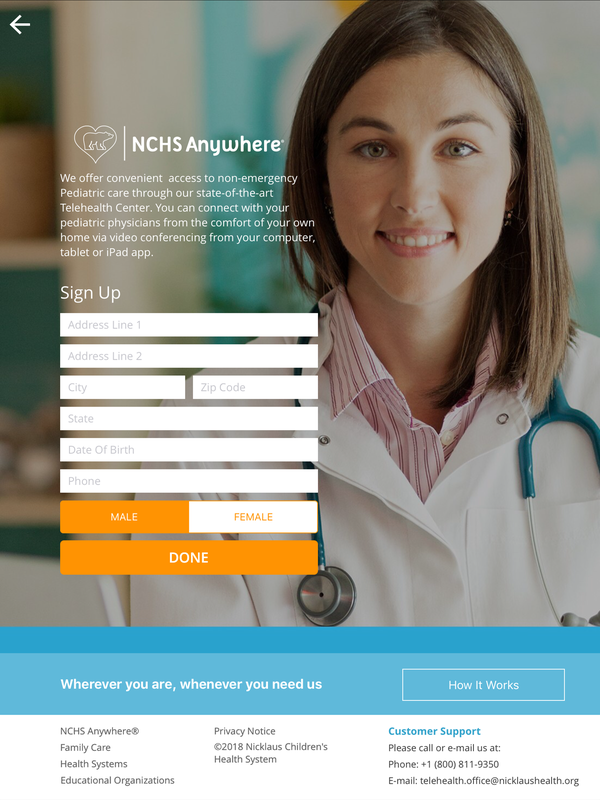 Our NCHS Anywhere BearCare Service provides a remote examination tool that enables you to capture and share exam data with your doctor anytime, anywhere. 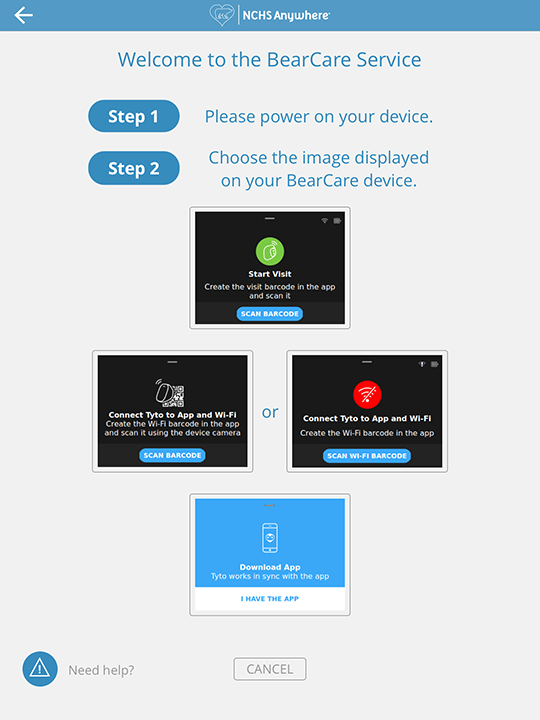 This guide shows you how to use the NCHS Anywhere BearCare Service device with NCHS Anywhere. This User Guide is subject to periodic review, update and revision. 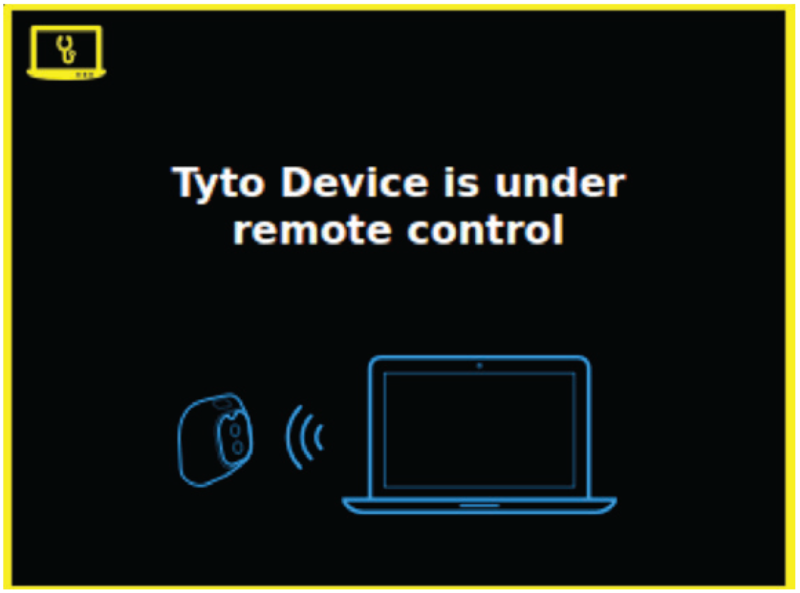 The user of this product has sole responsibility for any malfunction that results from improper use, faulty maintenance, improper repair, unauthorized service, damage, or alteration by anyone other than Tyto Care Ltd. (TytoCare). 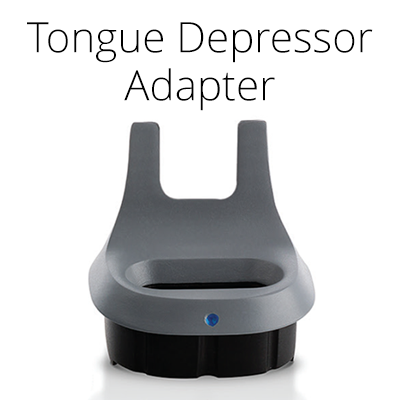 The device has been used for its indicated use and according to the operating instructions in this User Guide. All fittings, extensions, readjustments, changes, or repairs have been carried out by a TytoCare authorized representative. 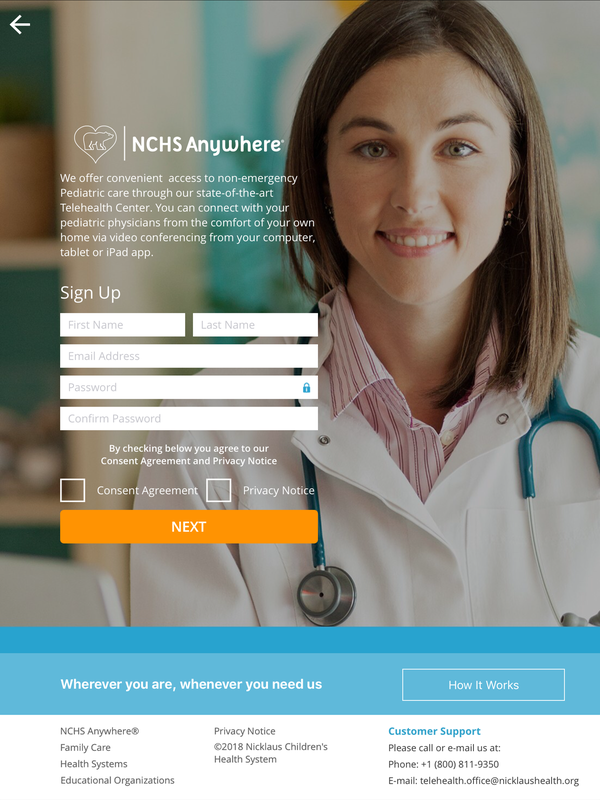 Step 2 - Select a platform to download and install the NCHS Anywhere application. Choose from Windows, Mac, iOS or Android options. 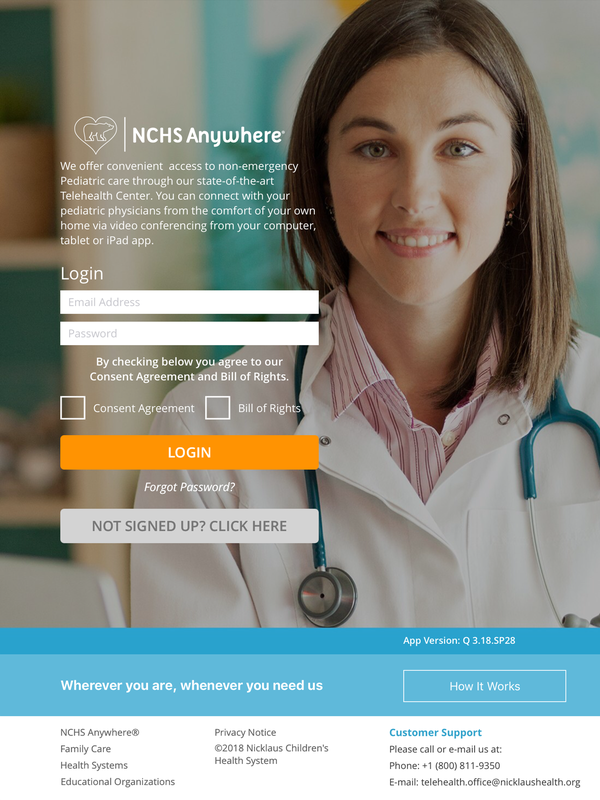 We offer convenient ways to connect to NCHS Anywhere and start a consult, whether using iOS, Android or the Web. For iOS users, please visit the iOS App Store and download and install the appplication by visiting the link below. For Android users, please visit the Android Play Store and download and install the application by visiting the link below. Step 3 - Don't have an account? Signup and register your child or children. 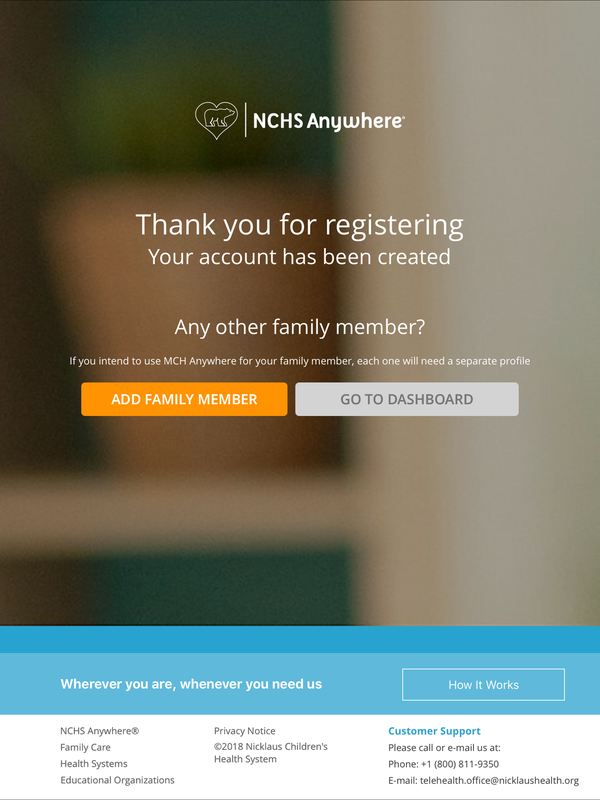 Create a new account so you can register your child or children. CLICK HERE to start creating your account on the web. Choose an e-mail address to use and create a password. To create an account profile. Continue by entering your address, gender, date of birth, and supporting details. Proceed to next step by pressing "DONE"
You will be directed to a registration confirmation screen. Now that you have registered you can add a child or children. Press "ADD FAMILY MEMBER" to continue or press "BACK TO DASHBOARD" to be taken back to the dashboard. 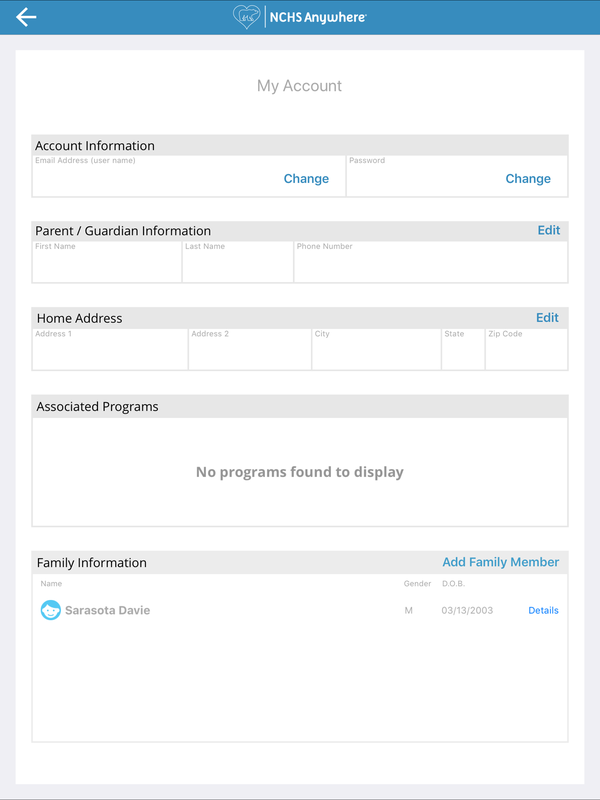 In this screen you can add your child or children. Enter your child or children's name. Press "SAVE" or "GO TO DASHBOARD" to proceed. Once your child has been added you will be prompted with a message. From the dashboard you may also add a child. Locate the profile icon on the top right corner of the application. Press "My Account" to view your profile information. 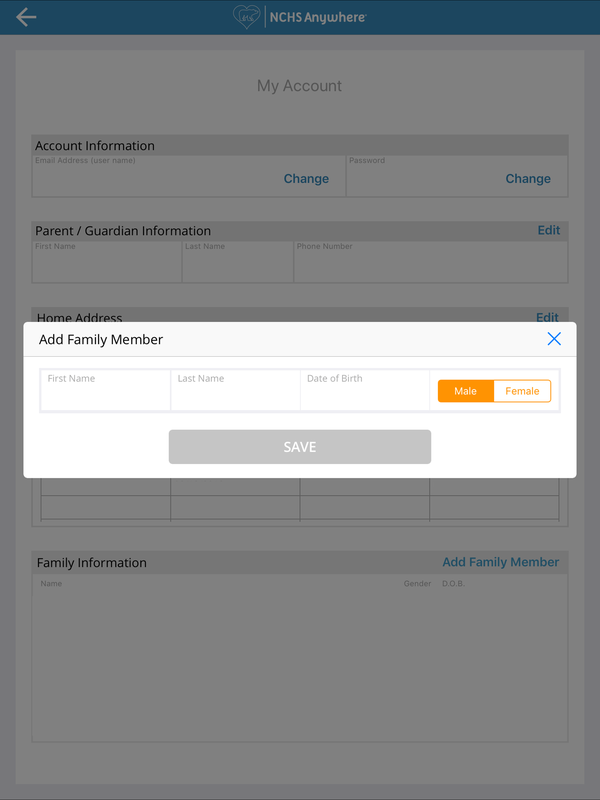 Add a family member by pressing "Add Family Member"
Input your child's name and information to add them. Press "SAVE" to continue and return to dashboard or add another family member. Step 4 - Start a consult or schedule an appointment. 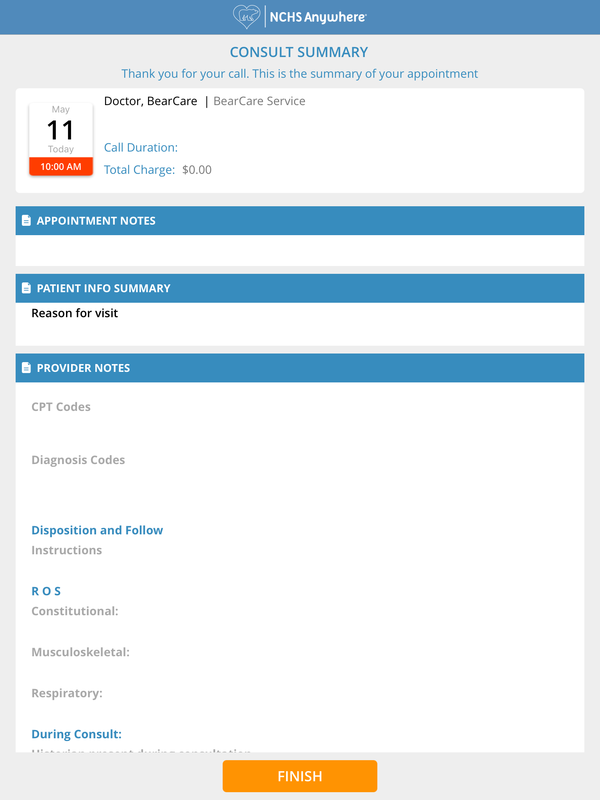 Upon login you will be taken to the application dashboard where you have the ability to view your Encounter History, upcoming Appointments, Start a Consult, Schedule an Appointment, or view Account Information. You will begin your consult by selecting a patient and service, then continuing to Consult Now or Schedule a Consult. Select a service. Select NCHS Anywhere BearCare from the dropdown. Press "CONSULT NOW" or "SCHEDULE CONSULT" to schedule an appointment. Screen displays results of available Providers and their appointment availability. Choose an available appointment with a participating Provider. Press appointment time to choose time slot. 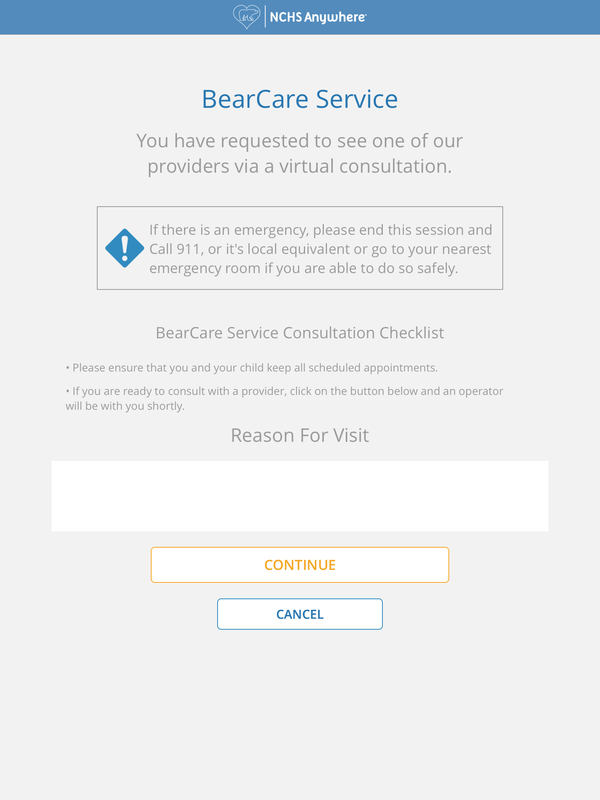 The NCHS Anywhere BearCare "Reason For Visit" screen will display information about your Consultation including a checklist that will instruct you on what you should have ready prior to the consult. Enter the required "Reason For Visit"
Press "CONTINUE" or you can "CANCEL" and return to Dashboard. Upon pressing "CONTINUE" you will be redirected to the "Confirmation Screen." 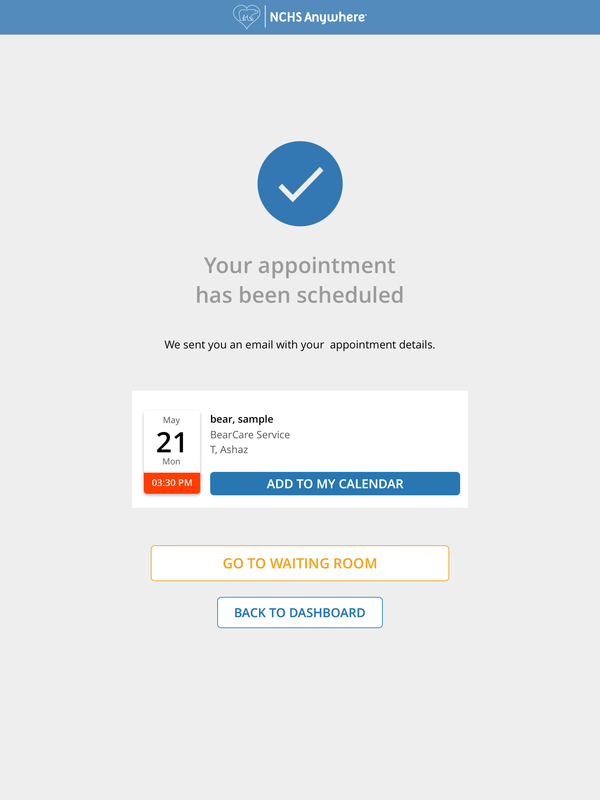 The "Appointment Confirmation Screen" will display your confirmed Provider, name and scheduled date. An e-mail confirmation will also be sent to you with your appointment details. 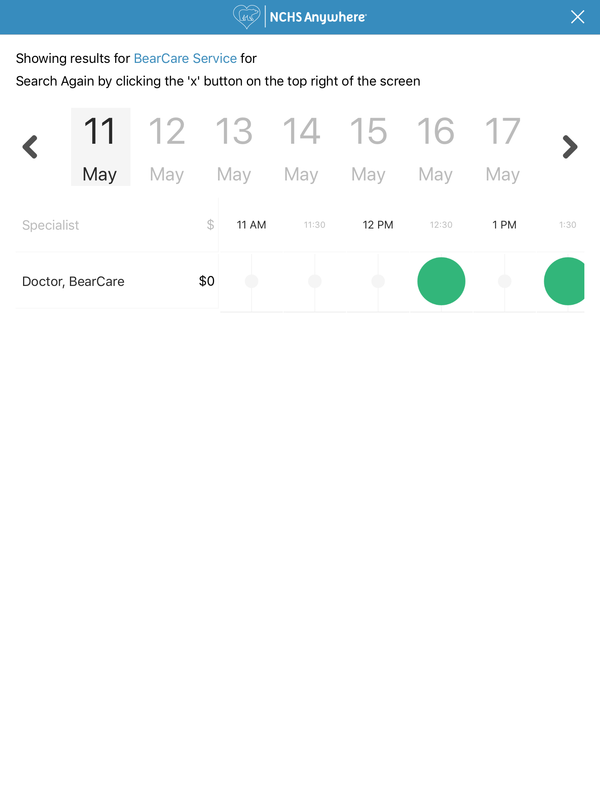 Once confirmed, you will have the ability to save the appointment to your device calendar. Press "ADD TO MY CALENDAR" if you would like to save your appointment to your device. Press "BACK TO DASHBOARD" to continue after reviewing your information. If you are within 15 minutes of your scheduled appointment time you will see the "GO TO WAITING ROOM" button. 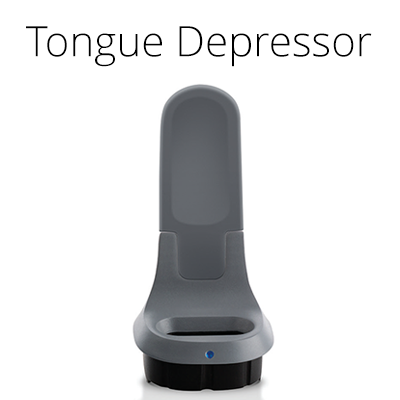 Press to continue if you are ready to begin your consult. 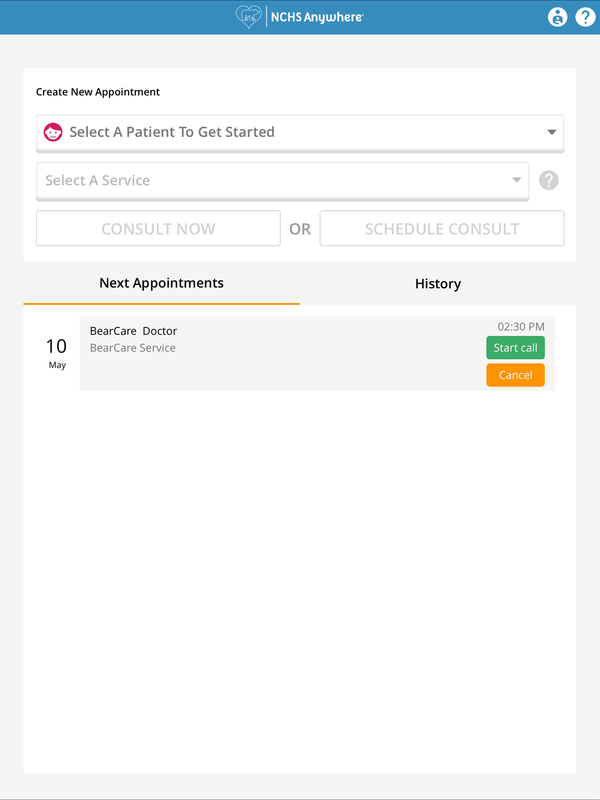 The "Next Appointments" will displayed on the dashboard. 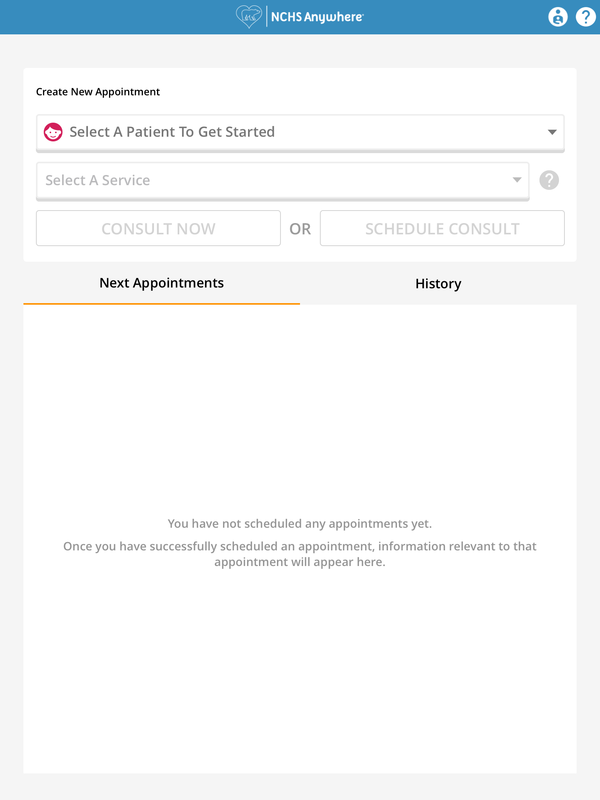 Your appointment is now set and you will be able to login 15 minutes prior to your appointment from the dashboard. 15 Mins prior to your call your dashboard will reflect the call that you added under your next appointments. 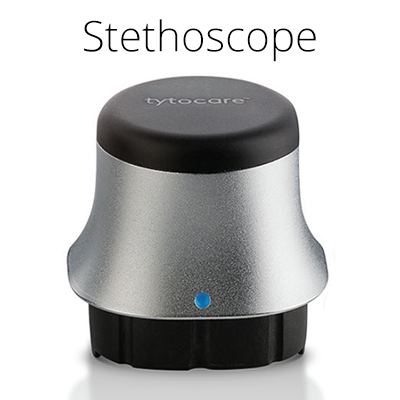 You can now press "START CALL" to begin your consult when ready. 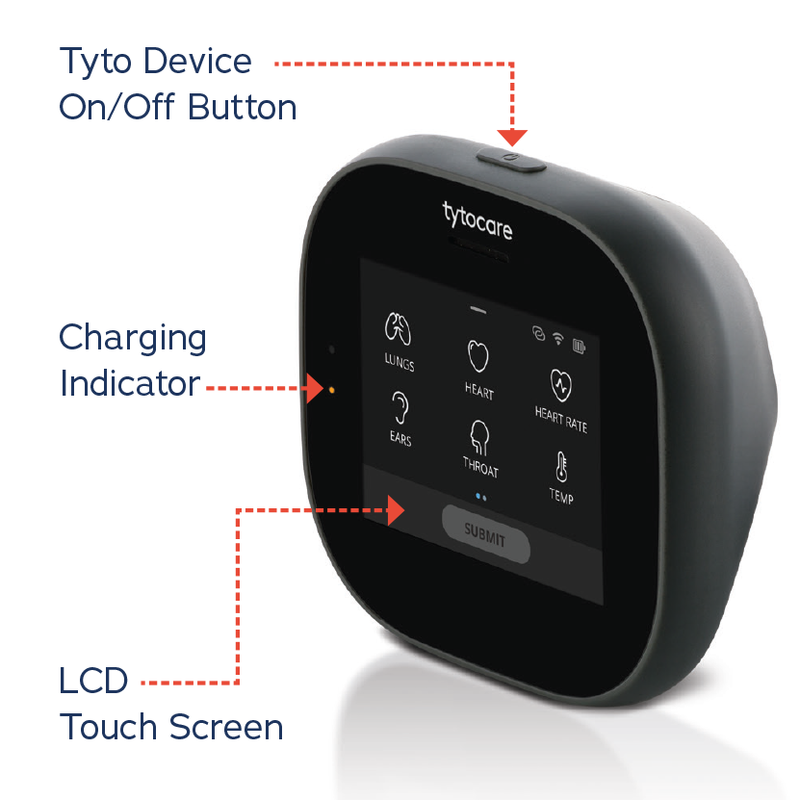 Once the call has started, you can begin to pair your TytoCare device to your Wi-Fi Router. Step 5 - Start your call and pair your device. 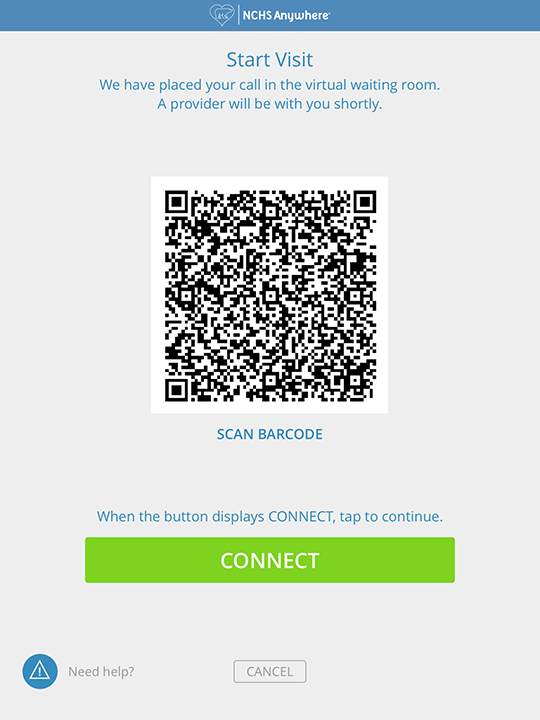 You can now press "SCAN BARCODE" on your device and proceed to begin your consult when ready. 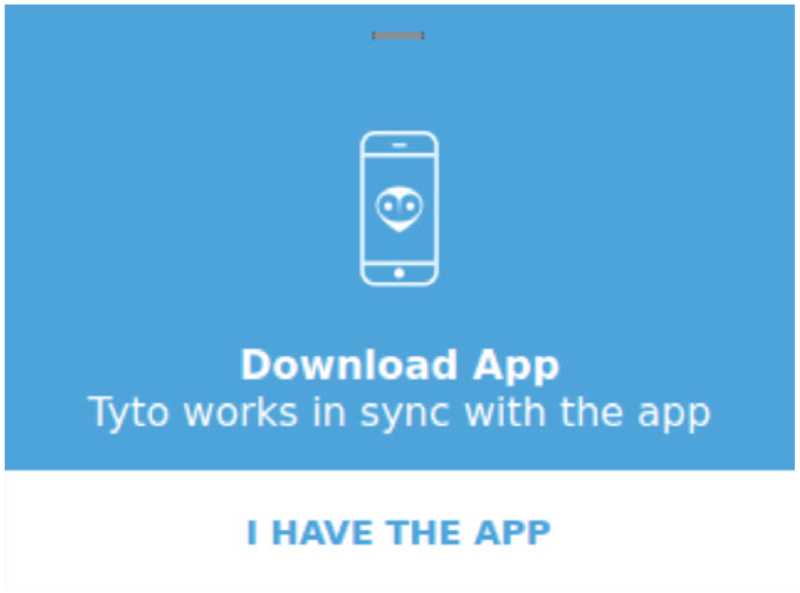 If you have not paired your device, you will see the "Connect Tyto to App and Wi-Fi" screen on your device. Proceed to pair your device. "I HAVE THE APP SCREEN" Please tap the image on your device to continue. Once you start your device and begin the call, you will need to pair your device to your current Wi-Fi if you have not already executed this step. Choose the image that is displayed on your device. 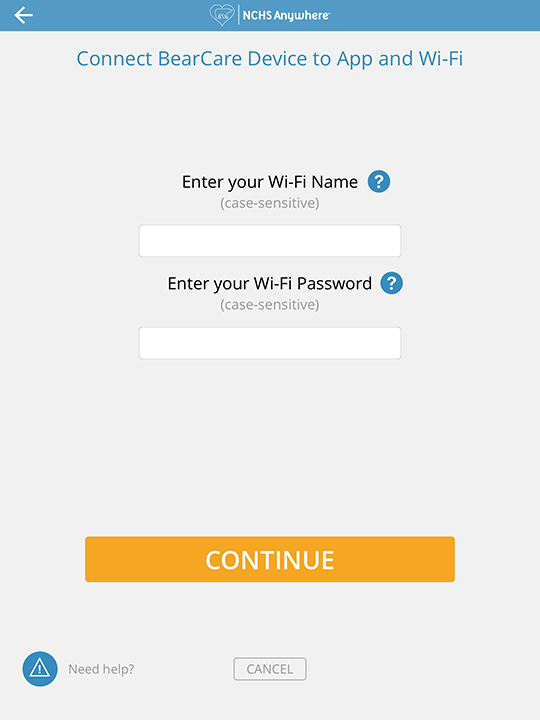 Enter your "Wi-Fi Name" which is the name of your hotspot or wireless internet router. 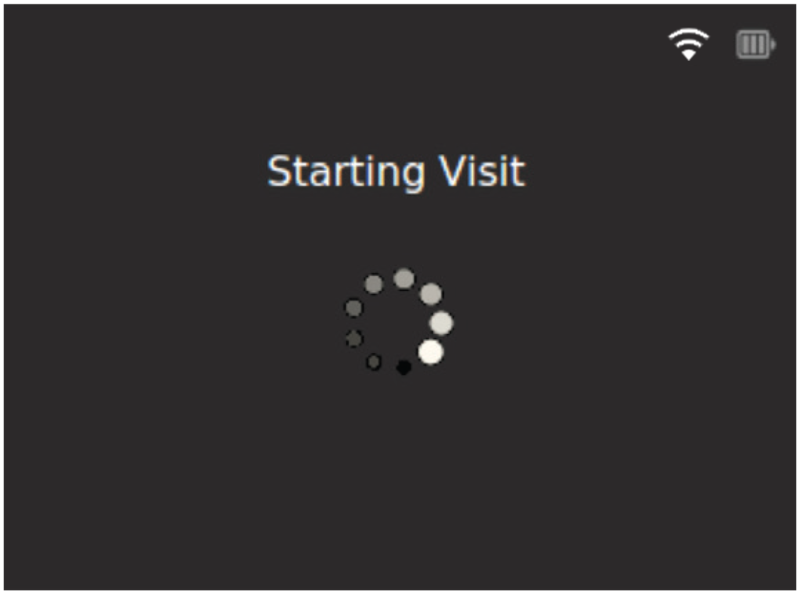 Press “CONTINUE” button to proceed to start your call or you can "CANCEL" your visit. You will need to enter your W-Fi Name and Password to begin a visit. How to locate your Wi-Fi Name and Password? 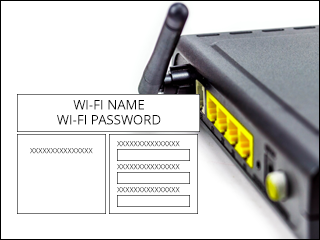 Your Wi-Fi Name and Password may be commonly found on the back of your router or modem. Check that you have provided the correct Wi-Fi Name and Password. Check your connection and make sure that your device and equipment are powered on. Check that you are in range of your Wi-Fi equipment. Avoid glare or bright light near your device screen when scanning. Place your device directly in front of screen for best scanning results. Step 6 - Wait for your clinician and start your Video Consult. Once you have clicked on "CONTINUE" you will be directed to the waiting room. 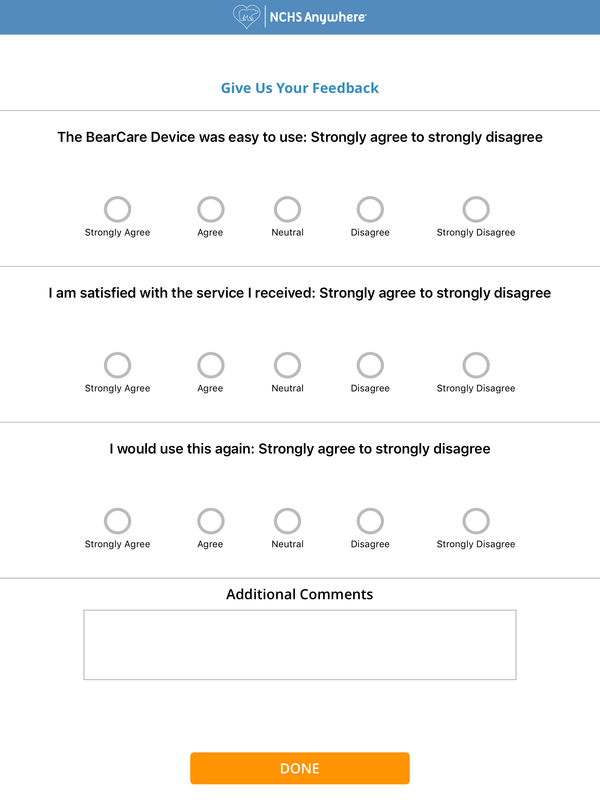 Once you are in the waiting room you will have the ability to pair the NCHS Anywhere BearCare device to the consultation that is occurring at the moment while the Provider is getting ready. 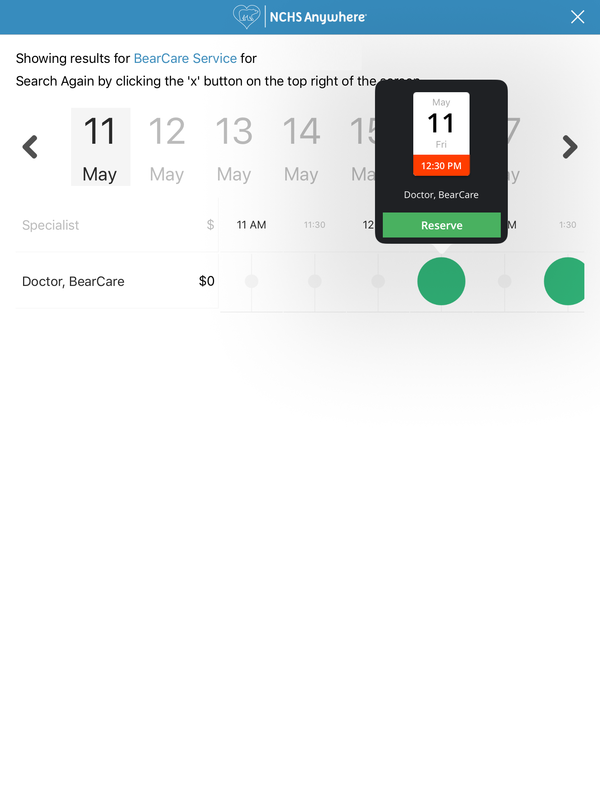 To pair your device, point your NCHS Anywhere BearCare device at the QR code on the screen and that will pair your NCHS Anywhere BearCare device to the consult. 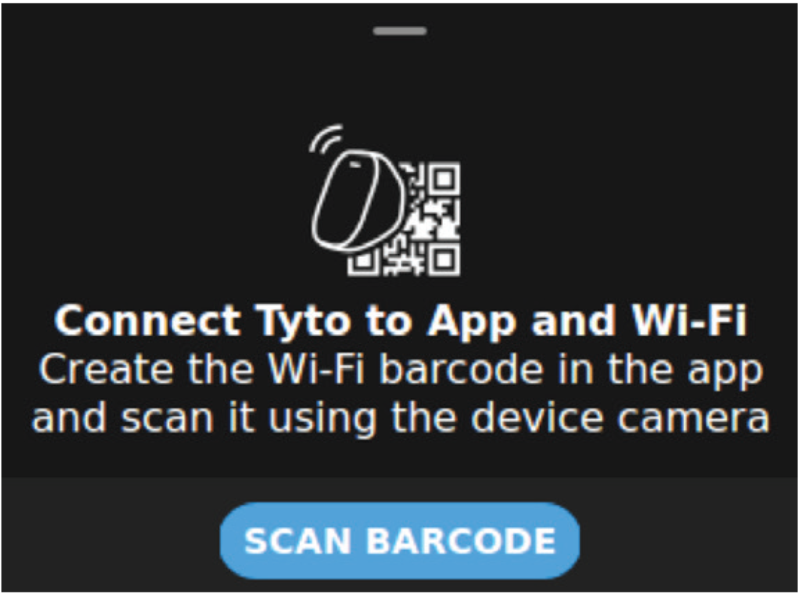 A generated barcode will appear once you have connected your Wi-Fi. To proceed, you must scan the generated barcode with your NCHS Anywhere BearCare device. 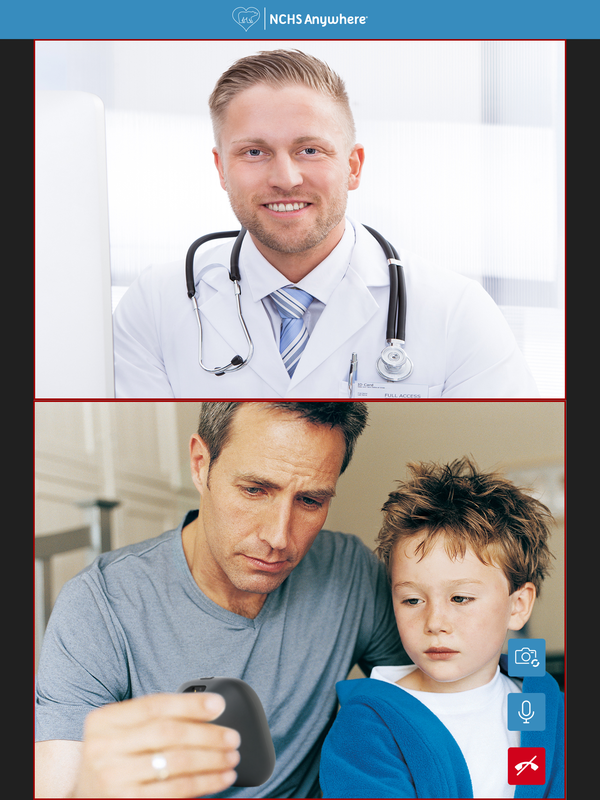 Press the green “CONNECT” button when the clinician is ready to begin your visit or you may "CANCEL." In case the NCHS Anywhere BearCare device disconnects from the Wi-Fi network during your visit, you would see the following screen. 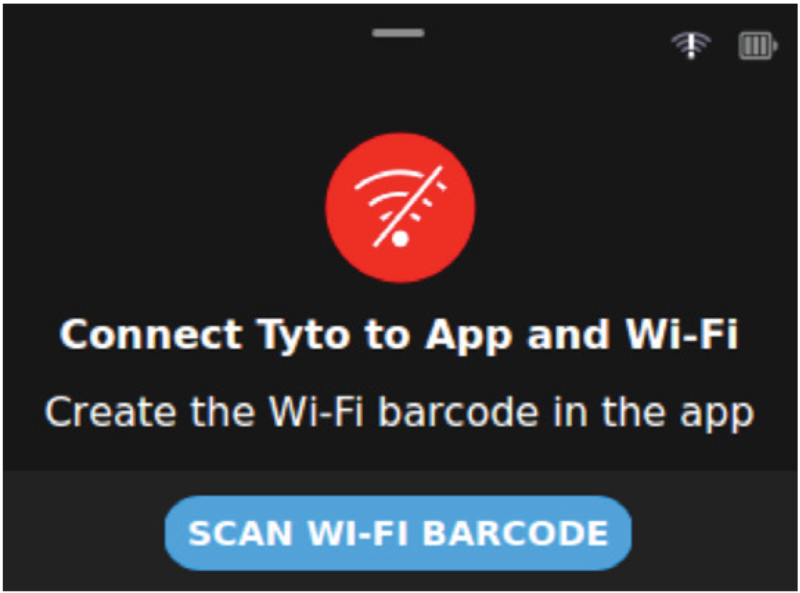 Follow the above instructions and re-scan the Wi-Fi barcode to connect again. 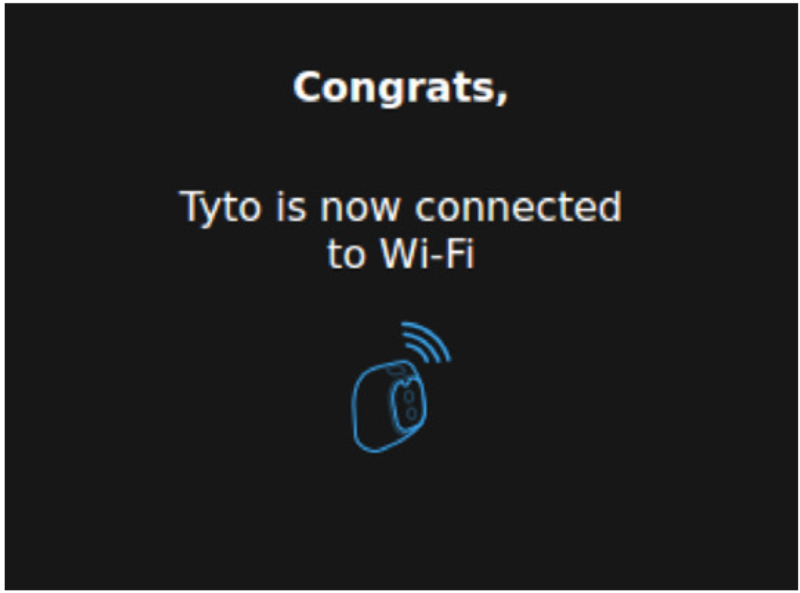 Following a successful connection to the Wi-Fi network, you’ll get the following confirmation. 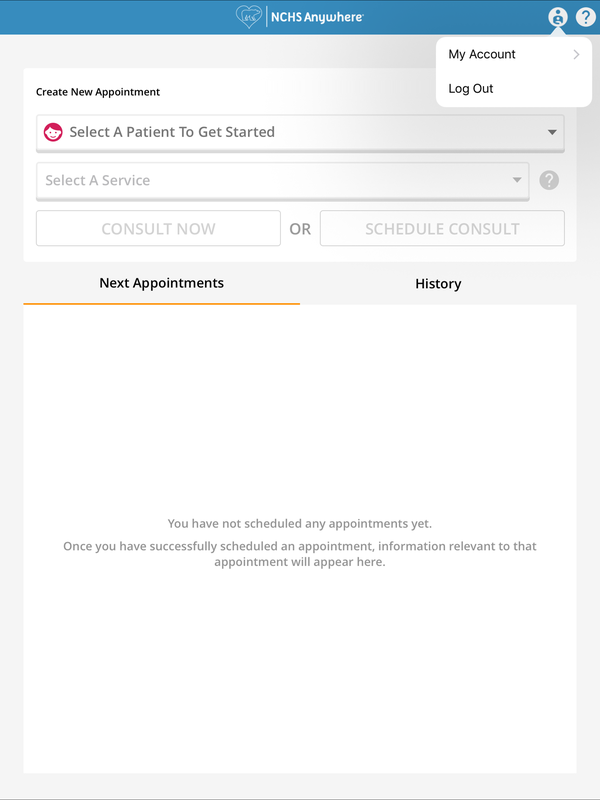 Once you see the message "CONNECT" displayed on your screen and you have scanned your device you will be able to press "CONNECT" to join the consult. Once the NCHS Anywhere BearCare device is connected to the Wi-Fi and ready for use, you’ll see the following screen. To start an online visit, you’ll need to scan the visit barcode. The visit barcode holds information to connect the NCHS Anywhere BearCare device to the online visit with a remote clinician. 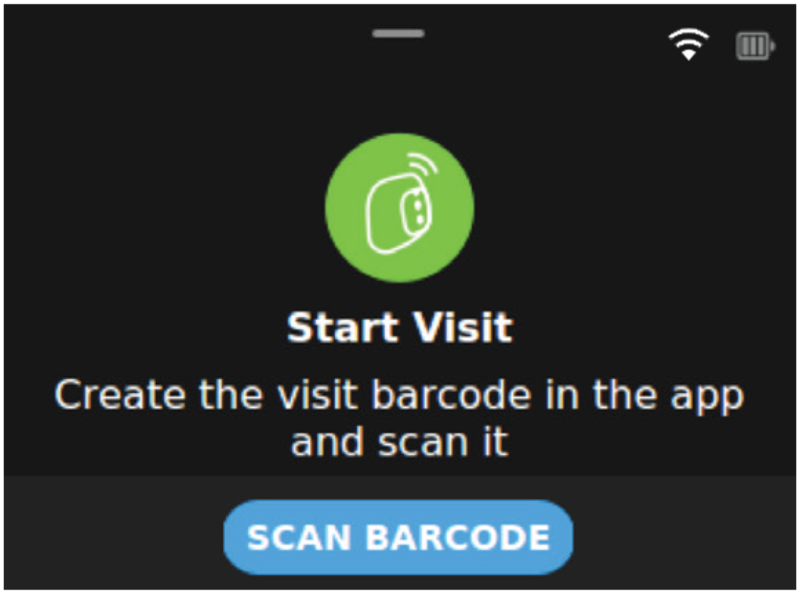 Please generate the visit barcode on the NCHS Anywhere, and then press “Scan Barcode” on the NCHS Anywhere BearCare device. 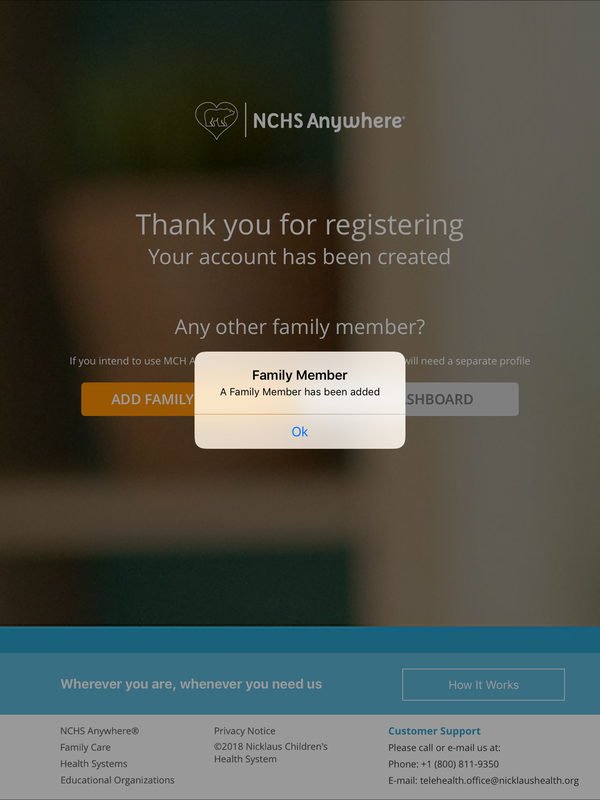 The visit code is generated automatically when visit is requested in the NCHS Anywhere app. 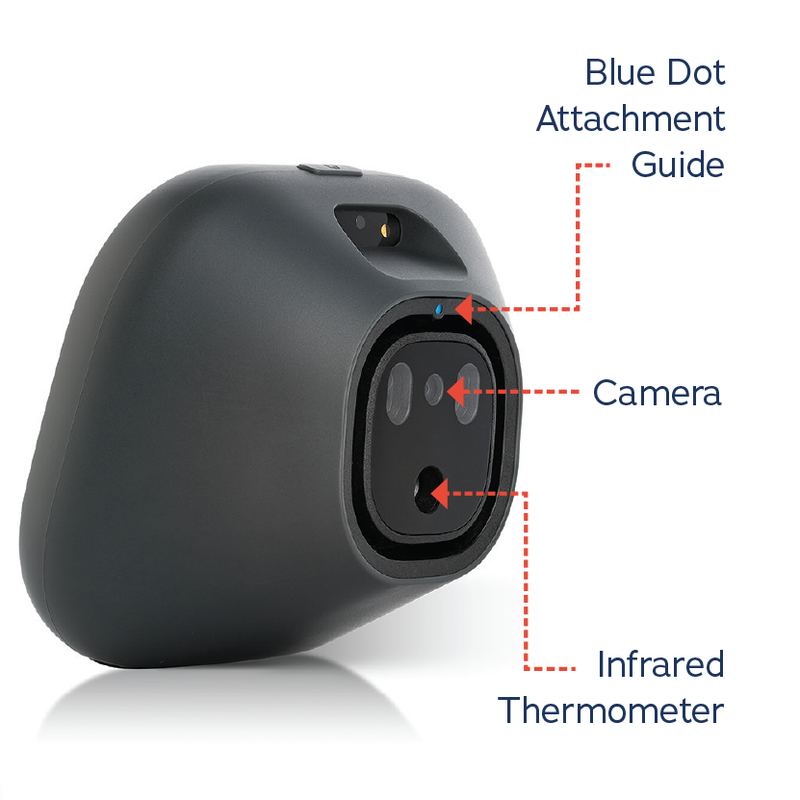 Then, aim the camera of the NCHS Anywhere BearCare device towards the barcode and wait until the device is ready for the exam. Note: There are two types of barcodes, which can be generated by the NCHS Anywhere application. The Wi-Fi barcode and the Visit barcode. Please pay attention to select the correct barcode in the application. The following screen is displayed until the NCHS Anywhere BearCare device joins the online visit. 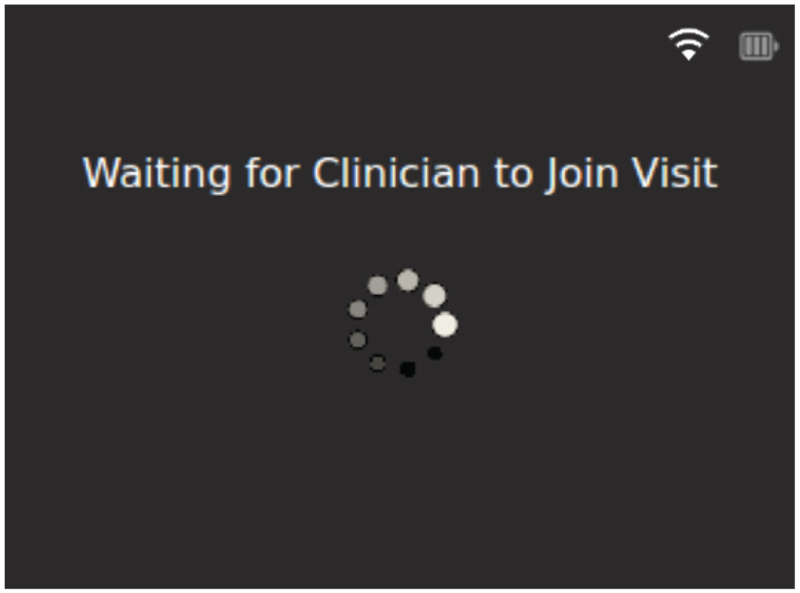 In case the remote clinician has still not started the online visit yet, you’ll see the following indication until the visit is started by the clinician. Step 7 - Start your Video Consult and speak to a qualified Provider. 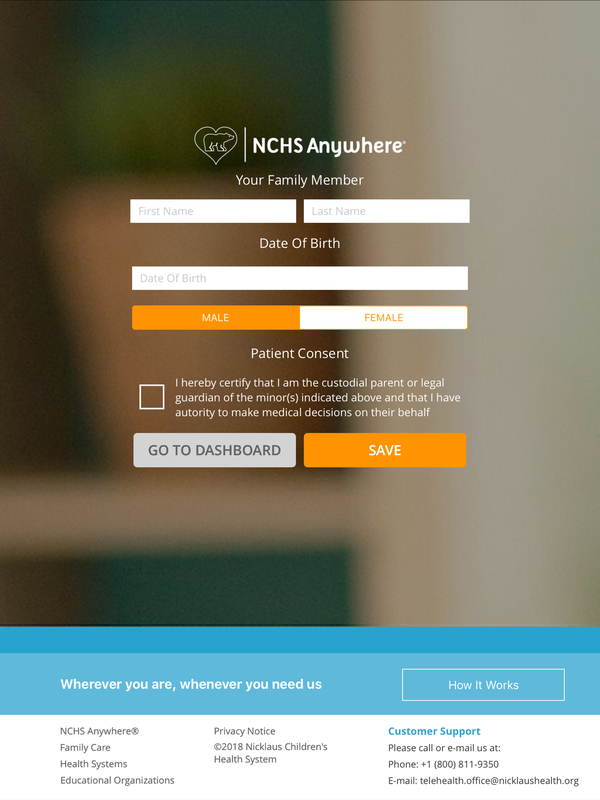 The NCHS Anywhere BearCare Video Consult screen will allow you to communicate with a Nicklaus Children's Health System Provider that will conduct a series of exams that require the NCHS Anywhere BearCare devices. You will be guided by the Provider and onscreen instructions provided through your NCHS Anywhere BearCare device. Once you complete your Video Consult you will be directed to a summary of your encounter. Once the NCHS Anywhere BearCare device joins the online visit, it is controlled by the remote clinician. The clinician is the one who selects the relevant exam, and is in full control of the NCHS Anywhere BearCare device. Please follow the clinician’s instructions while performing the exams. The clinician will tell you which exam is about to be performed. To allow the remote clinician to see and verify that you are conducting the exams correctly, please use the video conferencing capability provided by your NCHS Anywhere. 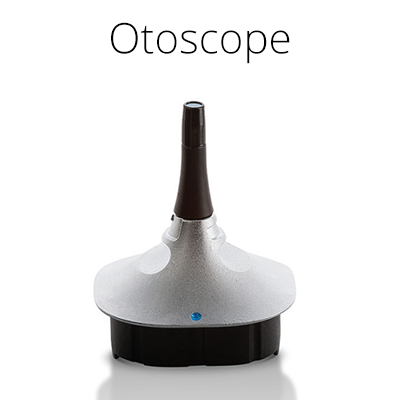 For example, by using the video conferencing capability, your doctor can advise you that you are using the stethoscope or otoscope properly. If you wish to examine your own ears, please ask someone else to hold the NCHS Anywhere BearCare device and perform the exam so he can see the device screen. 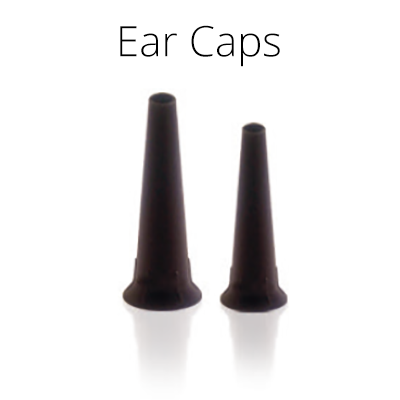 This is required to perform the ears exam successfully and safely. Step 8 - View your encounter summary once you complete your video consult. This screen displays your encounter summary details. A short survey will be provided at the end of your visit. Step 9 - Participate in our Survey to help us meet your needs. Once your visit is complete, we would like to know more about your experience and ask that you please fill out the survey to better help us meet your needs. Thank you for using the NCHS Anywhere BearCare service as we strive to provide new features and services for our consumers in the future.